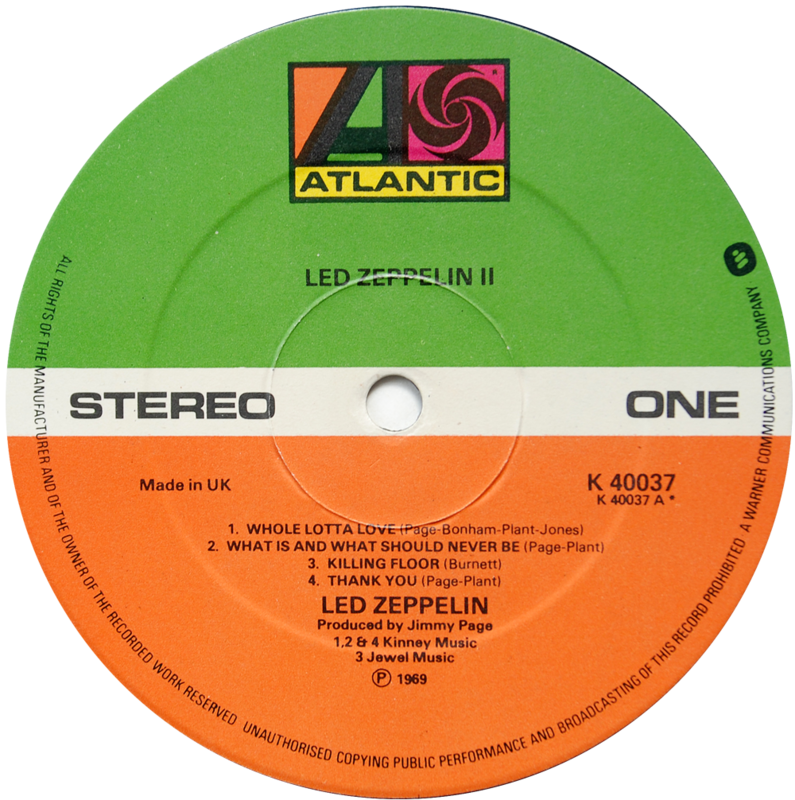 Just “how many more times”…will we get Led Zeppelin label variations?! Note the copyright statement on the 1st reissue (above left) is within the orange segment. The subsequent two versions extend through the white band and into the green. They also feature the ‘w’ lozenge of Warner Communications Company. 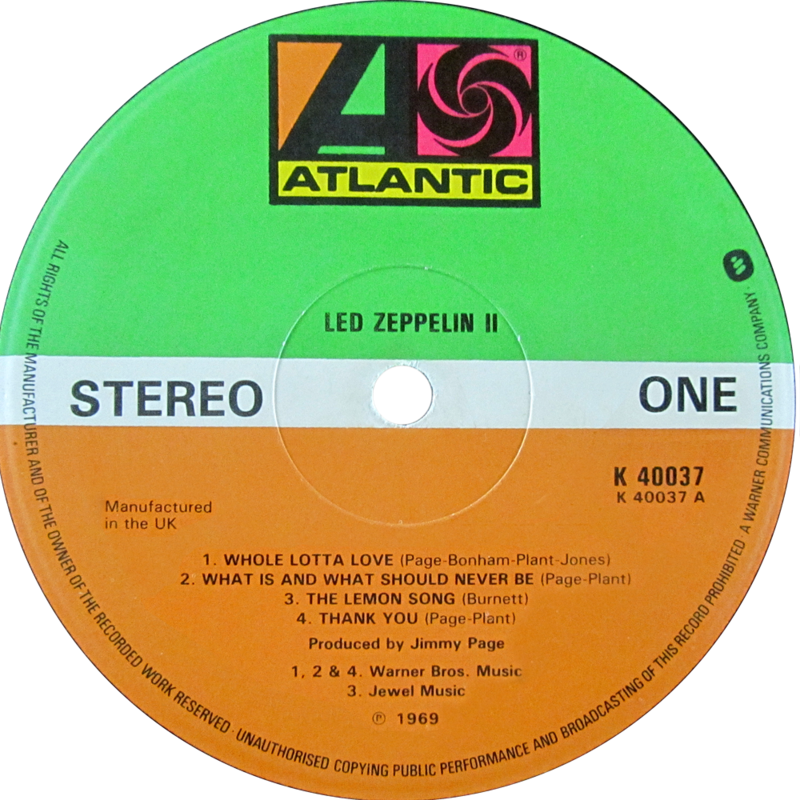 1st and 2nd reissues (left and centre) feature “Made in UK” wording below ‘STEREO’ whilst 3rd reissue (right) features “Manufactured in the UK”. This is consistent with Swan Song labels making the same change from “Made in” to “Manufactured in” sometime in 1979. Swan Song was also manufactured and distributed by Atlantic. The first Swan Song lp to feature this change was SSK59408 Bad Company ‘Desolation Angels’ issued in 1979. So the 3rd reissue is most likely to have been produced around the same time (c. 1979 onwards). Note also the difference in publishing credits on the 2nd issue and also the track listing denotes “Killing Floor” whilst the 1st and 3rd feature “The Lemon Song”. 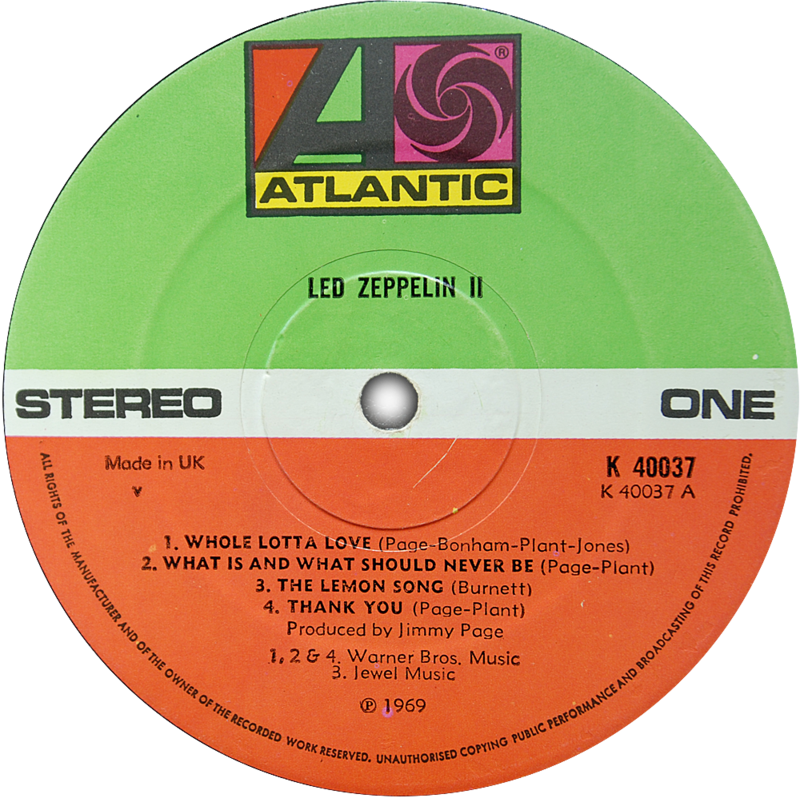 Side Two of this 3rd reissue also features songwriting credits to ‘Baldwin’, John Paul Jones’ real name, echoing back to earlier red/plum label variations.